Welcome to The Reading Corner. This is the place where I share my reviews of the children’s books that I have been enjoying with Pickles and Pords. If you have a favourite children’s book, please share it with me as we are always looking for new ones to fall in love with. On this page I’m going to give short reviews of books that we’ve found and enjoyed. So far most of the books I’ve shared with Pickles and Pords have had text, so I’ll try and find some good wordless ones to share too. Reading to my babies is one of the best parts of my day everyday. I hope that by sharing the books we love, I can share that joy around. Happy reading! Going go the library is an adventure for little people. Aside from the books, libraries often have other puzzles and toys to entertain children. Some libraries have wonderful children’s librarians who organise reading time, or nursery rhyme time, or other activities that you can enjoy with your child. It’s worth asking at your local library if they have anything like this and getting a schedule so you can check it out. Then, of course, there are the books. There are many great things about taking your children to the library. One of the best is that they can choose their own reading material. You can see what they are drawn to and tailor your reading time to their interests so they are more likely to engage. The sheer range of books means that you can be reading different things every week, rather than reading the same few books over and over. Not only will this likely be more enjoyable for the reader, but it will also expose your child to new ideas and vocabulary. highly enough. If you would like to purchase a book, going in to a book store affords you the opportunity of seeing the book’s size and shape before you buy it. Supporting local book stores is also a great thing. If you tend to do a lot of purchasing online, there are lots of places to buy. I have also included links to purchase with my reviews below. Please note (in the interests of full disclosure!) that these are affiliate links, which means that I get commission if you purchase through the links. Even so, I’ll say it again and again – if you’ve got kids, get to know your local library! When Pickles was a baby this book seemed to be everywhere. We went to the library for story time and they had enough copies of the board book to pass around so that every parent and baby could read along with their own copy. We went to the park with a group of friends and three people happened to have brought a copy along to help entertain their baby. My mum had a copy, my niece had a copy, I was given a copy. It didn’t take long to realise why it was such a hit with the little people (and with the people who were reading to the little people). The book is really just a whole lot of fun. It was definitely Pickles’ favourite in his first 18 months of life and the current condition of our copy of the board book is testament to that. 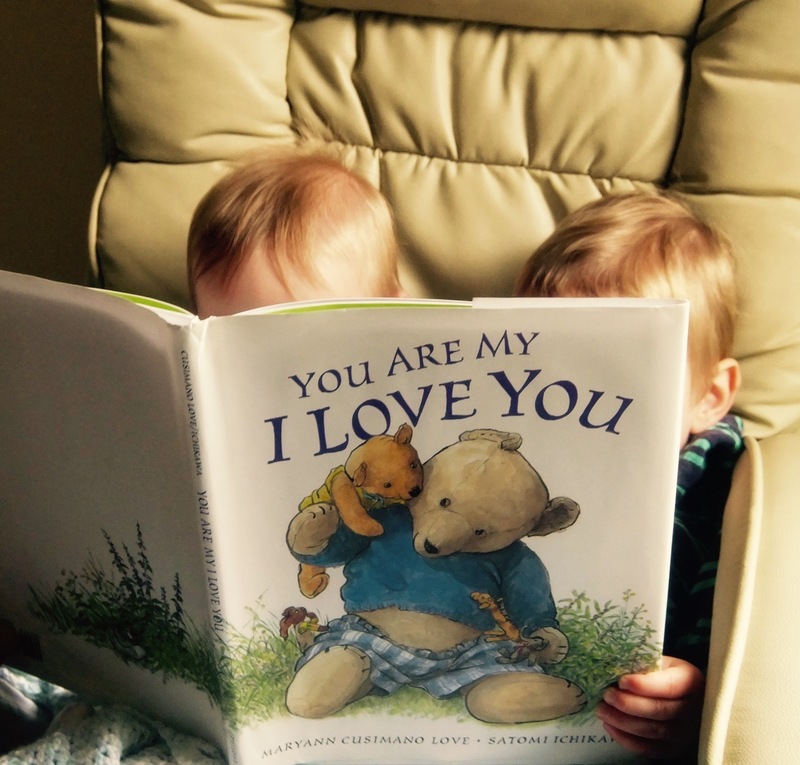 Even a hardy board book couldn’t withstand that much love. Mem Fox is a master of children’s books. The book is very clear and simple, and uses a lot of repetition. Yet it still manages to be great for language development. This is in large part due to Judy Horacek’s amusing pictures. Each line introduces a new type of sheep, whether it be a bath sheep, or a band sheep, or a train sheep, and the picture gives a clear visual representation of that word. 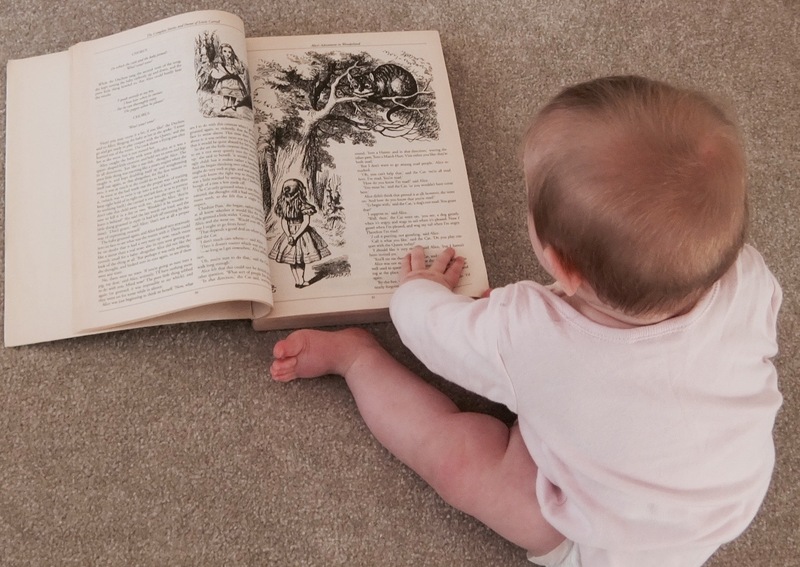 It is perfect for babies who have learnt to focus on a book, as you can point to the pictures as you read along. They’ll soon start to get the idea that this is a wave, and that is a clown, or that this is near and that is far. Especially since you’ll be reading the book over and over and over. And over. There’s also the tantalising mystery of where that green sheep could possibly be. Spoiler alert, he’s fast asleep on the back page. As soon as I read the title now Pickles just flips straight to the back page and says: “There he is! Fast asleep!” He doesn’t quite get the idea of maintaining the suspense for his little sister who as yet has not read it five thousand times. Nonetheless, it remains a family favourite and comes highly recommended. I borrowed this book from the library when Pickles was a few months old. I read it to him over and over and then decided that I needed to buy it for him so I could keep on reading it to him. The book describes how much a parent loves their child; as gigantic as a great lion’s roar, as silly as a puppy dog’s kiss, and as brilliant as each sparkling star. In parts some of the rhyming is a little bit forced, but I only really realised that this was the case once the new mother hormones had settled down a bit. In fact, I’ll admit that when I was a new mother reading it to my tiny baby, I often got a little bit teary. It was as if Marianne Richmond had reached into my brain and pulled out exactly what I was feeling about my little boy and turned it into a sweet little rhyme. I too would love him forevermore, undeniably. I think most new parents would feel the same way. With its big, bold pictures, it would make a great gift for a baby shower. Now I’m getting sad imagining my babies far away from me. Although I’m proud that in my imagined future they are independent and adventurous. Good for you imagined grown children of the future. This book is simply magical to read to babies. There are big, bright, beautiful pictures and not too many words. The words that are there read as a list of wishes for a new baby. It is a particularly good one for people who are in touch with nature and would want their baby to share in their love of all things outdoors. It makes an excellent bedtime book, as it’s ending hopes that the baby will: “grow sleepy at sunset, sing to the stars, and drift into dreams. And may you, my baby, be kissed by the moon.” It gets me in the mood for a sleep every time I read it. Or that might just be that I’m always in the mood for a sleep these days and don’t need too much reminding. Either way, it’s a lovely one to read to your little person just before bed. As your child grows older, this is also a great book for language development. Books like this where the pictures are the dominant feature are perfect for exploring with your older baby or toddler as they begin to learn new words. You could talk about different seasons and weather, different plants and fruits, or different places to visit. On many of the pages there are different creatures and animals to discover, so you could turn the reading into a game. The more active a participant your child is able to be in the reading process, the more beneficial the reading will be for them, so this is a perfect book to share. The Nutbrown Hares and I did not get off to a good start. I had heard only ever such fabulous things about this book and so I opened the copy of the board book that I had ordered online with much anticipation. The first thing that happened was the board book gave me a paper cut. It takes a special kind of skill to get a paper cut from a book that is especially designed for little people to play with and chew on safely to their heart’s content. I thought the Nutbrown Hares must have it in for me. This is a great book for new parents to read to their babies, as they struggle to find ways to describe just how much they really love this incredible new person who has entered their lives. As your child grows, it is a great book to read together. Pickles loves acting it out: stretching out his arms as wide as they can go, reaching them up as high as they can reach, and most especially tumbling upside down with his feet in the air. And now that he can say “I love you thiiiiisssss much” I reckon that I actually do love this book right up to the moon and back. I’m not generally a huge fan of overly structured sensory play. Mainly because I’m a bit rubbish at it. But I make an exception when it comes to books. 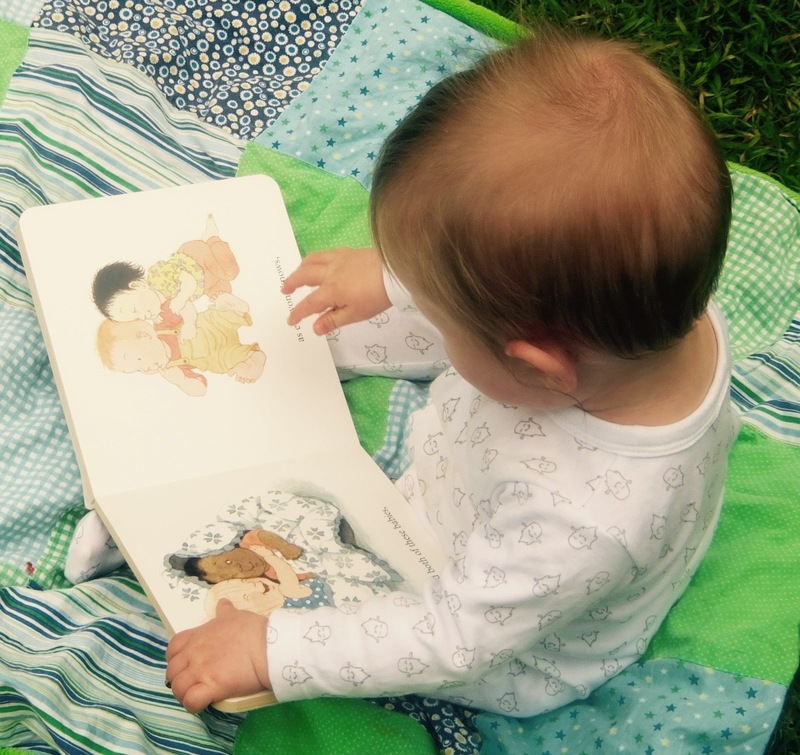 Touchy feely books are perfect for engaging babies and toddlers. Making sure reading time is fun is a great way to nurture an early love for books. This book also has big, bright, bold pictures and is full of whimsy. It is so much fun to read. Think you know someone who’d love it? Find it online: Oh, The Places You’ll Go! The Owl and the Pussycat was my favourite poem as a child and is my favourite to read (or sing) to my children. Pickles already knows it pretty much by heart. It had been one of those days. The toddler had been driving me a little bit crazy with incessant chatter and “Muuum! Muuuuuuum! Muuuuuuuuuuum!” So I loaded him and his little sister into the pram and walked them to the local library. He played around while I did the one handed grab of books that looked reasonable for us to borrow. I didn’t have the opportunity to look through them properly. When we got home again I pulled the first book out of the library bag. It was Mother Knows Best by Jill Murphy. Well, somehow Jill Murphy had followed me around all morning, written a book about my life, and gotten it published and distributed to my local library all in the one day. I AM Mother Bear. Pickles IS Bradley Bear. He knew it too as I was reading it. He thought the whole thing was hilarious. The library actually recommends this book for 4 and 5 year olds. I have included it in my toddler section because of my little bit of kismet with the book and my own toddler. It does have quite a few words, so it might be a bit much for some toddlers and instead suit older children. On the other hand, I think it is likely to resonate with parents of young children of a range of ages. I particularly like the part where Bradley, who has slowly been getting under his mother’s skin with his constant barrage of questions, asks her if they can make pancakes. She says no, and he asks her why. She says “Because I just can’t face it, that’s why.” Ha! I feel you Mother Bear. To which the irrepressible Bradley answers “But you said I should be doing things. You said it’s better to do things than watch TV.” Poor Mother Bear. Hoisted by her own petard. I really think I’m a bit in love with this book. It’s fun for kids but it’s also fun for the grown up reading to the kids, who will more than likely see themselves reflected in it. Or maybe it’s just me. Our board book copy of Dear Zoo has a sticker on the front that says: “Happy Birthday 30 Years Dear Zoo.” With such a high number of books for children on the market, it might be surprising that this is still a favourite. The surprise quickly dissipates on a re-reading. This book is perhaps the perfect book for toddlers. Firstly, it has lift-the-flaps. When you are a toddler, lifting the flaps in books is one of the greatest things ever. As if that’s not enough in itself, once you have lifted the flaps you find animals underneath. Lift-the-flaps AND animals. Was ever there a greater combination? Toddlers love to guess what animal is underneath the flap and as they read it more and more it becomes a test for their memory. The text is very simple and repetitive, which is also perfect for a toddler audience. The simplicity does not limit your ability to talk in more depth with your toddler. You can note the colour of each box or crate, you can talk about what sound each animal makes, or what each animal likes to eat. You can even try moving around the room like each of the animals to take the interaction to another level. This book lends itself to being enjoyed over and over. I have no doubt that in another 30 years children will still be enjoying it. Think you know someone who’d love it? Find it online: How Do Dinosaurs Say I Love You? Lynley Dodd’s books really are a pleasure to read. Her cast of adorable animals are brought to life by her galloping rhymes and her delightful illustrations. The pace and repetition make it easy to read and fun for toddlers and older children to follow along. The only problem is in deciding which of the characters is your favourite. I’ve always been a Hairy Maclary girl myself. My husband likes Schnitzel von Krumm, but I’m pretty sure that’s only because he thinks the name is delicious. Rather alarmingly, Pickles picked Scarface Claw, the toughest tom in town as his favourite very early on and has stuck with him. We have a number of copies of this book and one of them is a touch and feel edition. Pickles skips straight ahead to Scarface Claw and his prickly tongue. There are many books in the Hairy Maclary series. Other favourites in our household include any that involve Slinky Malinki. They all have a joyous, rollicking rhythm that makes them excellent for reading out loud. It isn’t hard to see why they have been bestsellers around the world. Think you know someone who’d love it? Find it online: Peppa Pig: Stomp and Roar! I have had the rhyme from this book stuck in my head since primary school. I kid you not. That is a lot of years. That’s one nasty case of ear worm. I’ll be just be cooking a meal when suddenly I’ll have the urge to say: “Cinderella on the stairs I spy the three bears.” Or Pords will be crying and I’ll be thinking: “Baby Bunting fast asleep I spy Bo-Peep.” Or I’ll be asked the key question at a really important job interview and all I’ll be able to think is: “Wicked witch over the wood I spy Robin Hood.” I really don’t know why this has stuck in my head the way it has for so many years, except for the fact that it’s so simple yet effective, and I read it over and over as a child. Now, as I read it over and over to my own children and I don’t even have to look at the words. I know the whole thing by heart. The words aren’t even the best part of this book though. There is a built in game of I Spy in the pictures. So kids need to try and find the character to be spied in each picture. For older children this is a snap, but for toddlers, especially those who haven’t read it fifty times already, it can be challenging and fun. The use of well known nursery rhyme and fairy tale characters makes it even more amusing for children. Pickles is going through a bit of a three bears craze a the moment so he especially likes the pages that feature them. These inclusions prompt further discussions about other books and stories that we’ve shared and make the book even more interactive and engaging. Before he could talk, if we asked Pickles which book he wanted to read he would invariably roar. Not that we needed to ask. This touch-and-feel book about dinosaurs was his absolute favourite. For a little person the book is just so interesting. Aside from the fact that there are dinosaurs, which on its own is a huge draw card, this is book is an amazingly interactive, tactile experience. There are things to feel, and flaps to lift, there are things to turn, and there is a big pop out dinosaur. The pictures are bright and colourful, and the text is written in simple rhyme. Without fail, the ending of this book makes me smile every single time. Four animal friends want to take shelter from a rainy day inside a snug cave. Unfortunately, a very cranky bear has already had the same idea. Three of the friends believe they have the solution by giving the bear the attributes of themselves of which they are most proud. They all think of the fourth friend, the sheep, as rather plain. However, in the end it is the sheep that has the answer when she makes a pillow for the bear from her wool. “‘Well, thank you very much,’ said Bear and soon he fell asleep. Maybe he was dreaming of a plain, but thoughtful sheep.” See, I’m smiling again. Well, let’s face it, if you can see me that’s a wee bit creepy. Hopefully you can’t in fact see me. Trust me, there’s a smile. Particularly loveable about this book is that it follows the imaginings of a young child. The ideas might be silly, but the child is nothing but earnest. Earnest nonsense is nothing if not delightful. You can talk to your own children about what it might be like to have duck feet, or a long nose, or tail, or deer horns, or a whale spout on their head. 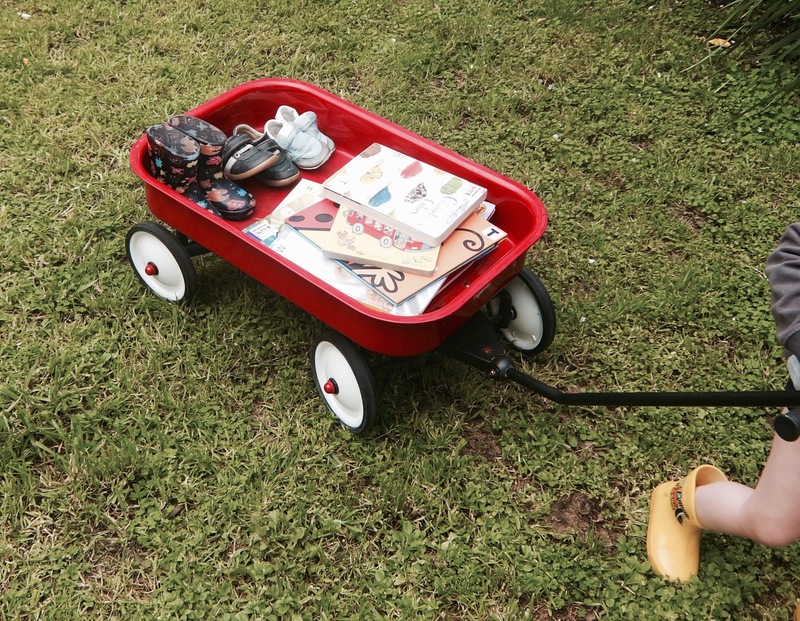 Your children might imagine other additions that would be fun to have. It is a perfect book for reading aloud and for sharing over and over again. Children are immediately drawn to the book because it is visually very appealing. The central protagonist, The Rainbow Fish, sparkles on the cover and on every page, with his special sparkling silver scales. Children love to watch the scales shimmer in the light. As the book progresses, they love to see which new fish have been lucky enough to get one of the coveted scales. Pickles goes crazy for the final page, where all the fish have little pieces of glittery goodness. We generally have to skip forward to that bit first before going back to the rest of the story. Aside from the glorious pictures though, it is the story itself that makes this book one to truly treasure. The Rainbow Fish begins the book as proud and selfish, aloof and lonely. Along the way he learns that it is through kindness and sharing that he is able to find happiness: “the more he gave away, the more delighted he became.” This important lesson makes it a great book for children who are starting at kindergarten or school, and having to learn how to interact with their peers and make friends. The story itself has a valuable lesson, and it also lends itself to being a gateway to parents opening up a further dialogue with their child about sharing; it is a beautiful book and a useful tool for learning.